Another purchase from Lakeshore Learning. This would be super easy to replicate though just by laminating cardstock and putting puffy paint on the back to prevent slipping. The older kids appreciated practicing their sight words, but the preschoolers seemed a little bit lost. I wound up making modifications based on age. “Can you jump to a word that has the letter T in it?” Teen volunteers needed a bit more direction with this one than I anticipated. I had to demonstrate for a few minutes with the kids around. After that, everyone seemed to have a good time with this one. 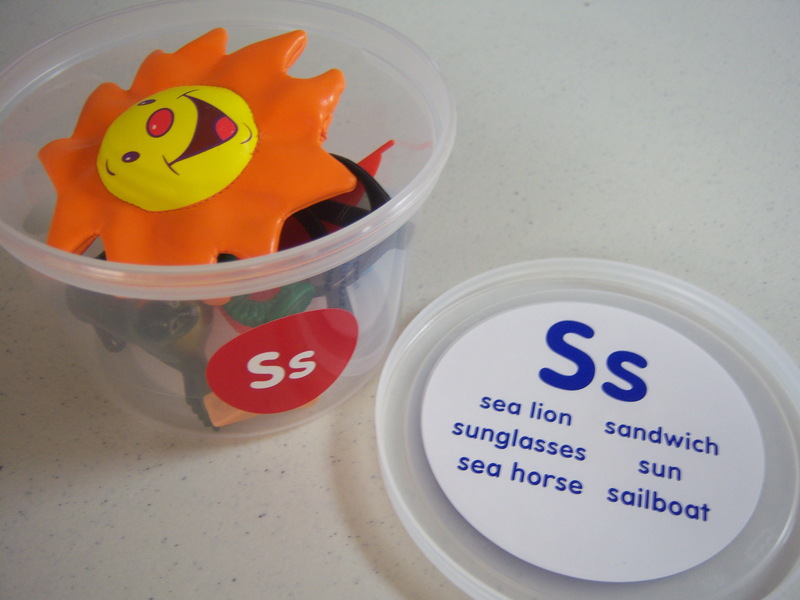 Again, I purchased these Search and Find Alphabet Bags from Lakeshore Learning. There are tons of homemade tutorials available at these sites: The Homes I Have Made, The Sewer The Caker The Copycat Maker, Kreative Resources, and even a bottle version at Rockabye Butterfly. It should come as no surprise that every time these I Spy Bags make an appearance, there are at least a few kids who plant themselves at that table and refuse to move until they have spied every item in every bag. 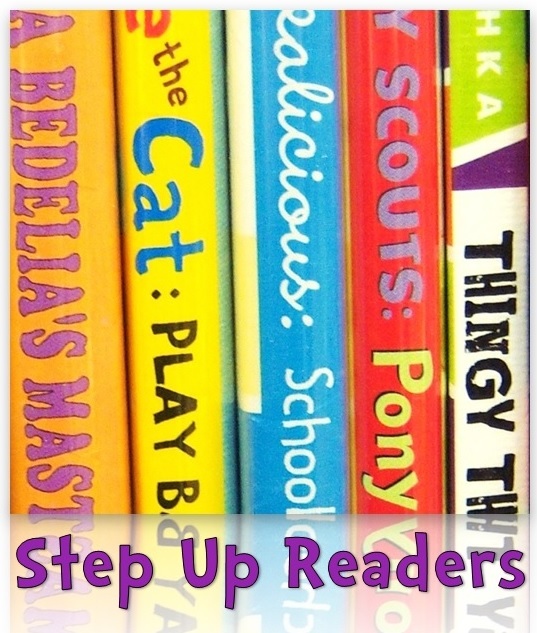 It is more than time for an update on how “Growing Readers” is going! Towards the end of December, kids were rushing through the activity stations to try and finish first! After that, I let them take books from the storytime collection to the rug independently. It worked for the first week. The next week, everyone went faster and fought over the pop-up edition of “The Very Hungry Caterpillar.” I knew that things had to change. I took a break from “Growing Readers” in January to order more supplies (different literacy stations and activities), to deal with low registration (likely due to flu season), to avoid snowstorms and emergency closings, and to work on tweaking the program. I also spent some time re-training my teen volunteers to be more engaging with the children. After the races towards the end of the program, I began to think that kids were getting more out of the storytime aspect than the activity stations. Which is totally fine! (And I’m going to take as a giant compliment, right?) The activity stations are supposed to supplement the storytime — not the other way around! I needed to add more to my storytime, and I really wanted to increase the interactivity. Now, I read two to three books (depending on time), and include two apps on the iPad. I’ll be doing some write-ups on which apps were successful for us and which ones didn’t go over so well. Which leads me to the activity stations — we only have about twenty minutes for activity stations now, and that seems to be working much, much better because the kids do not have enough time to race through and finish even if they tried. The teens are much better at asking follow-up questions and interacting with the kids. All in all, I made the right decision by working through a re-vamp. I’ll start the activity stations again next week (Tuesdays, baring complications! ), and app reviews as I find the time to write them up properly! At this table, I put out all 26 puzzles and mixed up the letters. Kids and parents worked together to sort them out again. Puzzles were purchased at Lakeshore Learning. This table was especially nice because I had a lot of parent/child interaction here. Parents were really sounding out letters to help their kids match up the puzzle pieces correctly. Also, I thought this was a great low-key activity compared to some of our more high-energy tables! Apologies, I think this is the longest post I’ve ever written here! 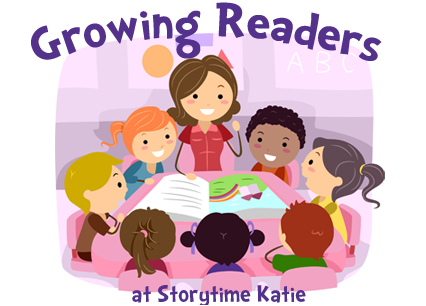 The idea from “Growing Readers” came originally from Hi Miss Julie and her Beginning Reader Storytime. I began writing a grant for the program shortly after reading her post, with the idea that I would rely heavily on Every Child Ready to Read’s five practices to plan the program if I received the grant. In the summary below, I’ve added in which ECRR practice I think the activity supports. As kids come into the library and check in, I get them started on doing their nametags. All of our programs at my library are advertised at starting on the hour, but we hold patrons upstairs until five minutes after. This works marvelously well at cutting down on late-comers and being able to start as a group. (Not perfectly, mind you!) I decided to have nametags because it encourages them to practice writing their names — names are a great way to start writing! Once we’re in the storytime room, I do my typical, “Good afternoon, everyone! My name is Miss Katie if you don’t know me. What’s your name?” and then let the kids either tell me their names or hold up their name tags. We sing “Clap and Sing Hello!,” like I do at every storytime. Afterwards, I’ve been asking get-to-know you questions. For letter L, when we read “The Little Red Hen Makes a Pizza,” I asked everyone what their favorite pizza topping is. Last week, since it was Halloween, I asked them what they were dressing up as. Each kid gets a moment to shine and get comfortable. 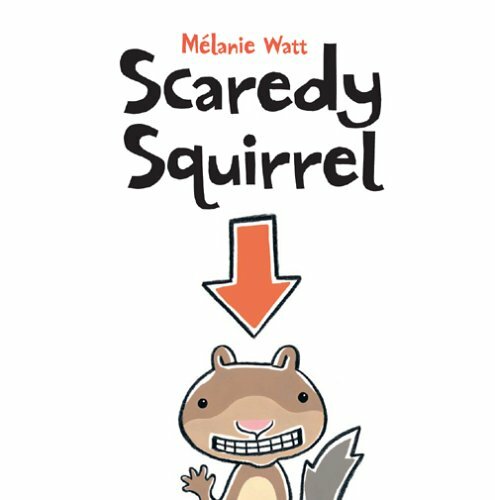 This WONDERFUL idea came from Youth Services Shout-Out, Wisconsin’s wonderful YS collaborative blog, where Amanda Struckmeyer guest-posted about using mail to introduce her storytime themes. Instead of using a brand-new flannelboard every week, I’ve been re-using my Letter Puzzles. So far, after three weeks, the kids are still squealing when I pull out mail addressed to them. Like Amanda, I read them the addresses that I write and I’ve been using my collection of outdated stamps (I’m still finding $0.23 stamps in my house!!) to give the letters some authenticity. Inside of the the envelope, I write a message and include the Letter Puzzle pieces. We put the puzzle together on the flannelboard and the kids announce the letter of the day! Then, after all of that, we build a word cloud together. 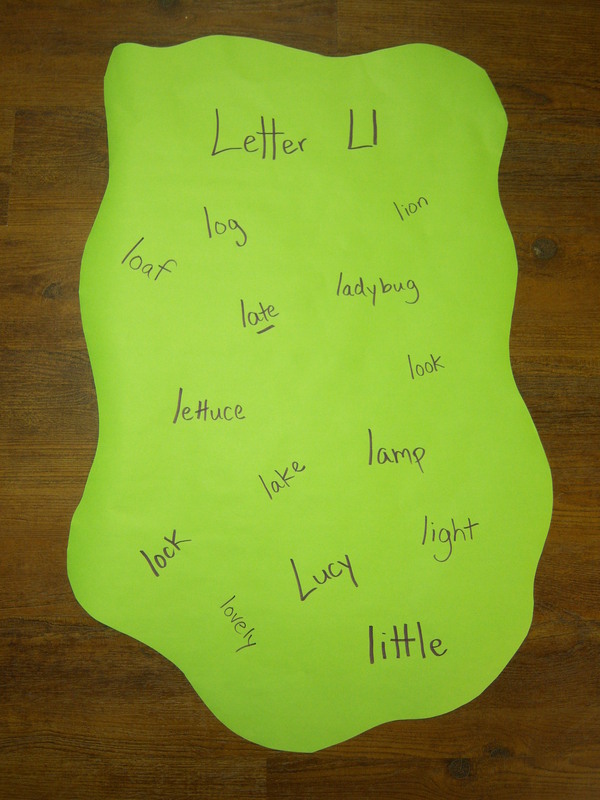 I let the kids tell me what words to write and I do a lot of talking, “Yes, lake starts with l. L-a-k-e. That’s how we spell lake! Do we have a big lake nearby?” This is my favorite part of storytime because the kids come up with GREAT words and I get right down on the rug next to them to do the writing. I love when they remember the names of their Growing Reader friends and tell me to write their names down. We had great conversations about capital and lowercase letters, rhyming words, and sounds at the word cloud. After the storytime, I hang it up in the room. I’ve also gotten a lot of parents who ask what the word cloud is and how they can go to *that* program with their kids. I do a quick rhyme/song, something to bring us back together as a group. I’ve done “Who Stole the Cookies From the Cookie Jar?” and “Baby Shark” so far. This is the one area that I can trim down if I need to for time. I try to end the first portion of the program right at the thirty minute mark. After that, it’s time for the table activities to begin. And you’ll read more about those in the coming weeks! Any questions? Feel free to send me an email if you want to know more or drop a comment!